A black and white photograph of 135 Perry Street. Russell Bell lived in this house from 1923 until his death in 1977. 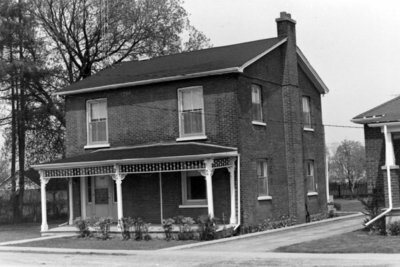 He operated Bell Garage on Dundas Street. 135 Perry Street, 1974, Brian Winter. Whitby Archives 17-189-001.